The Dubai Wave Podcast’s influential Season 3 continues with a riveting conversation with one of Dubai's ultimate music industry insiders! Thrilled to present our world exclusive with the one and only Saif and Sound. 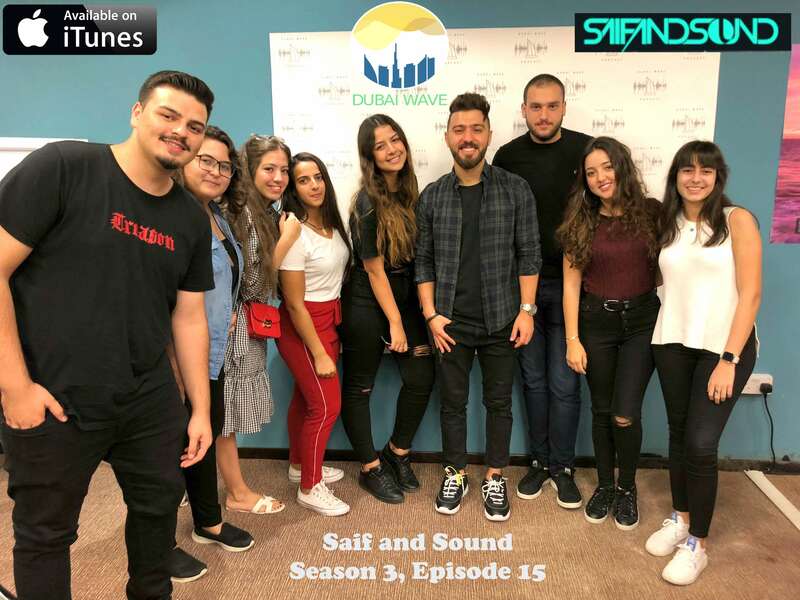 A UAE based Radio Host, DJ and MC: his Music and entertainment company “Saif and Sound” has taken the Dubai music industry by storm! A music "multitasker" - is how Time Out Abu Dhabi describes Saif. Born in the capital city of UAE, Abu Dhabi, he started his career in 2005, as he was a DJ for various pool parties, school proms and private events as a teenager. He has grown to achieve numerous achievements in the region that gained him an established reputation, along with an active and growing fan base. Saif and Sound is one of the most established personalities in the Music & Entertainment industry in the UAE. Having taken part in some of the region’s biggest events. Saif’s ability to perform at the highest level comes as second nature. As a result, he has performed in the industry’s biggest events. Saif has become one of the most established names in the nightlife scene in the UAE. Brushing shoulders with A-List celebrities as a result, and playing at venues like Mad Yas Island, Billionaire Mansion, Movida, Gotha Club, People by Crystal, Saadiyat Beach Club and many more. Saif has been invited to perform at elite clubs in Miami, London, Germany, Baku and beyond. With a wide social media presence, Saif has carried out social media campaigns for Nissan, Timberland, Sun and Sand Sports, Mall of the Emirates, Huawei, Sennheiser and more. The concept with Dubai Wave is to look at big picture Dubai. 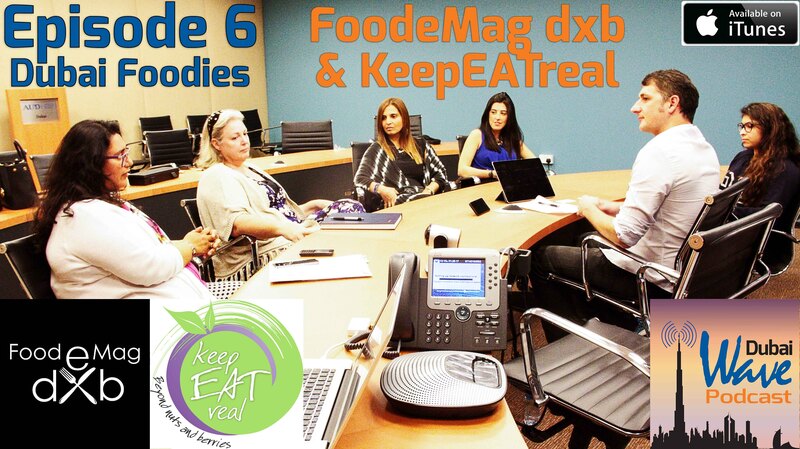 Each episode focuses on a unique topic, such as Dubai Fitness; Dubai Social Media; Dubai Food Scene; Dubai Music, etc., with the goal to illuminate a 360-degree viewpoint of all the exciting things happening here, the gem of the Middle East. The impressive guest list to date includes the founder of Dubai’s most influential MMA gym, Tam Khan (Dubai MMA); successful entrepreneur, Anas Bukhash (Dubai Entrepreneurship); the editor of What’s On Dubai, Laura Coughlin (Dubai Magazines); the host of Virgin Radio Dubai, Brent Black, (Dubai Radio); and the first Emirati filmmaker to achieve International acclaim and standing, Ali F. Mostafa, (Dubai Film). Previously, Dr. Striker, with help from talented Digital Media and MBRSC students, launched a successful podcast called Digital Media & Tech in Dubai, focused on the Dubai tech industry, with eight episodes to date, featuring some of Dubai’s most exciting digital thought leaders. Mr. Levier’s first love, music, translated into becoming a DJ. Growing up in a musical home playing instruments such as the drums, violin and piano, he's always had a passion for music. Started DJ'ing in summer of 2015, what started as a harmless pass time translated into passionate hours of practice, downloading, hardware upgrades, and self-teaching via YouTube resulting into a career. In the short time the young Levier has played at some of the biggest venues in the Middle East which includes, Pacha, Movida, White Dubai, Cavali, Cirque Le Soir, and holds residencies at Provocateur Dubai and Billionaire Mansion and VIP Room as well internationally playing for events such as Formula One Grand Prix, 1Oak Baku, Kiss Club France and Le Maginifique to name a few. His unique style of playing mixes Hip Hop, Funk, House, Dance, Afro, Reggae and Latin, making sure you get the perfect combination of open format music. Based in Dubai since 2008 Timothy has worked at some of the hottest nightclubs including Cirque Le Soir, Cavalli Club, Movida, Nobu Restaurant, Koi Las Vegas, Armani Prive, XL Beach Club, and Café Del Mar Dubai. Tim regularly appears as a guest DJ across the Dubai superclubs. Tim’s been a part of club tour nights in Dubai with brands such as Ministry Of Sound, Nikki Beach, Pacha, Pukka Up, Circo Loco and Stereo Sushi. Tim Kay’s warmed up for the biggest DJ’s in the world – Axwell (Swedish House Mafia), Afrojack, and Avicii (Good Feeling) – Thats a fine 3 of the DJ Mag top 10 DJs in the world. He’s also played with many other Worldwide Accredited performers – DJ Antoine (Welcome to St Tropez), Alex Gaudino, Sandy Rivera, David Morales, Danny Rampling, Todd Terry, Ron Carrol, Richard Grey, Edward Maya and Judge Jules to name but a few. 2012 saw Tim Kay selected to play at Atelier Dance Events – the biggest festivals in the Middle East. Djing to crowds up to 18,000 capacity. With Artists such as 50 Cent, Nelly, Ciara, Skylar Grey, Chris Brown, Eva Simmons, Faithless, Gorillaz, and Snoop Dogg + many more. Tim has fine-tuned his sound to work across the board of Dubai which has both an underground and educated understanding, as well as maintaining accessible. His edge is being able to adapt to any crowd with a vast repertoire of new and old music. Tim has produced under the alias Speaker Tweaker and has just had a string of releases signed to one of the biggest dance music labels in the world from the creator Tiesto himself – Black Hole Recordings. Special thanks to the AUD Marcom Team. 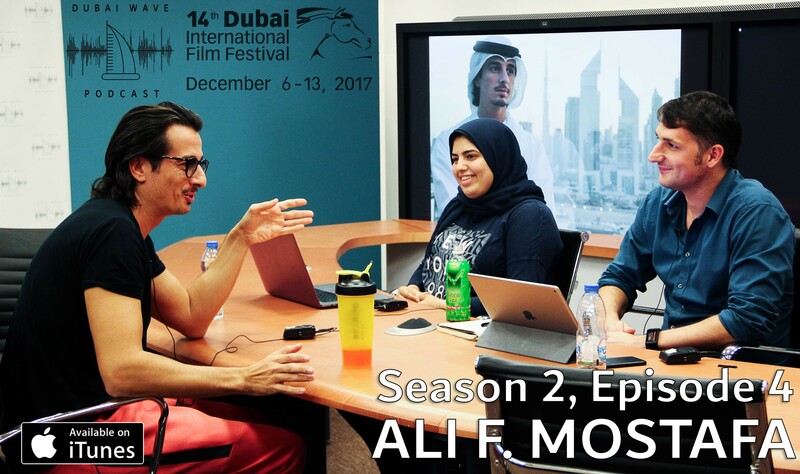 The Dubai Wave Podcast’s influential Season 3 continues with a riveting conversation with one of Dubai's ultimate business insiders! 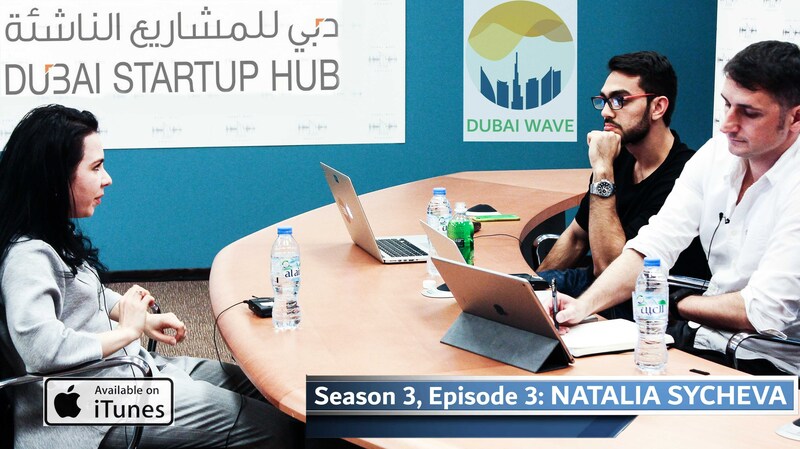 Thrilled to present our world exclusive with Natalia Sycheva, Manager of Entrepreneurship at the famous Dubai Chamber - and the indefatigable firebrand brand behind the Dubai Startup Hub! Entrepreneurship expert, Natalia Sycheva, is managing entrepreneurship strategy 2021 for the Dubai Chamber. Program portfolio includes startup fund, MarketAccess (B2B) for startups, startup business advocacy, entrepreneurship education, and the truly innovative Dubai Startup Hub initiative. Through partnership with public sector counterparts, industry leaders locally and internationally, fostering development of innovative private sector of Dubai. Before transitioning to public sector Natalia was in charge of developing industry programs for Deloitte Middle East. In her role she provided strategic, analytical, and operational leadership to develop and implement cross-functional strategies to effectively serve firm's clients and grow Deloitte's businesses in the region. Additionally, Natalia is a Fulbright Scholar, with two masters degrees in International Finance and History. She is the author of numerous publications in the fields of government decision-making process, trade and energy policies. Her insights were presented at both national and international conferences including the World Energy Congress. And she is one of the most passionate, articulate experts on the past, present, and future of Dubai's promising startup scene! The Dubai Wave Podcast’s epic Season 3 continues with a rare world exclusive! For the second episode of the new season, we are thrilled to present our exclusive conversation with two of Dubai’s most influential and iconic artists, eL Seed and Afra Atiq! Recently he created a sprawling mural in the Manshiyat Naser neighborhood of Cairo that spans 50 buildings and can only be viewed from a local mountaintop. Intending to honor the historic garbage collectors of the Manshiyat Naser neighborhood, the piece reads, "Anyone who wants to see the sunlight clearly needs to wipe his eye first." Afra Atiq is an Emirati award-winning poet, having recently won the 2017 ADMAF Creativity Award. She is the first spoken word poet to win the award. Afra has been featured on several platforms across the globe. She proudly gives back to her community through mentorships and workshops with Untitled Chapters (a thriving hub for Emirati women writers). She has been a featured performer/speaker at platforms like TEDxFujairah, Step Music Festival, NYUAD Arts Center, Sheraa, as well as at numerous universities and schools. Afra was named Best Performer for 2015-16 by Rooftop Rhythms and has won multiple poetry slams and competitions. As a scholar, Afra has recently been published in the International Journal of Research in Humanities and Social Sciences and conducted social research pertaining to literature and education. The Dubai Wave Podcast returns for Season 3! For the first episode of the new season, we are thrilled to present an exclusive conversation with one of Dubai’s most charismatic and compelling break out stars in social media and digital media entrepreneurship, Khalid Al Ameri! His sophomore film, From A to B, was the first Emirati film to open the Abu Dhabi Film Festival. His most recent feature, created by Image Nation Abu Dhabi, is one of the highest profile films ever produced in the Middle East, the dystopian spine chiller, The Worthy. Ali was awarded Man of The Year in 2014 by Esquire magazine's Man At His Best Awards for his accomplishments in helping build and develop a burgeoning UAE film industry. The concept with Dubai Wave is to look at big picture Dubai. 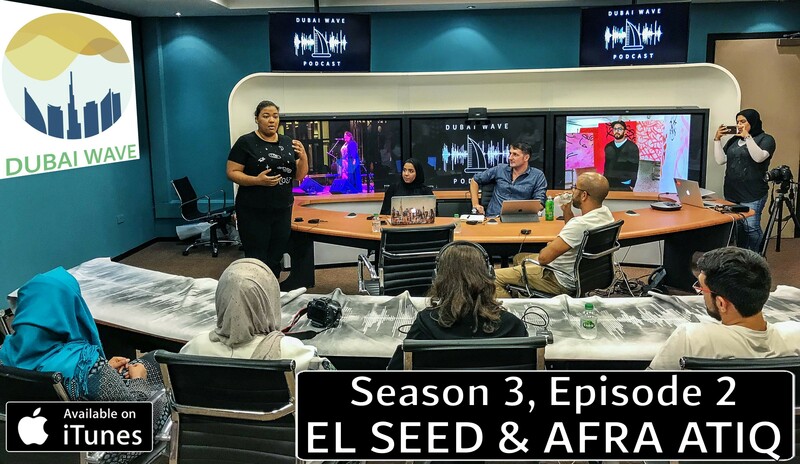 Each episode focuses on a unique topic, such as Dubai Fitness; Dubai Social Media; Dubai Food Scene; Dubai Music, etc., with the goal to illuminate a 360-degree viewpoint of all the exciting things happening here, the gem of the Middle East. The impressive guest list to date includes the founders of two of Dubai’s most popular food blogs (Dubai Foodie Scene); the founder of Dubai’s most influential MMA gym, Tam Khan (Dubai MMA); successful entrepreneur, Anas Bukhash (Dubai Entrepreneurship); the editor of What’s On Dubai, Laura Coughlin (Dubai Magazines); and the host of Virgin Radio Dubai, Brent Black, (Dubai Radio). Previously, Dr. Striker, with help from talented Digital Media and MBRSC students, launched a successful podcast called Digital Media & Tech in Dubai, focused on the Dubai tech industry, with eight episodes to date, featuring some of Dubai’s most exciting digital thought leaders. Ali Mostafa: pioneer of the Emirati film industry, changing the face of film and TV production in the Gulf. Winner of numerous awards internationally, Ali’s production company AFM Films continues to produce cutting edge work. 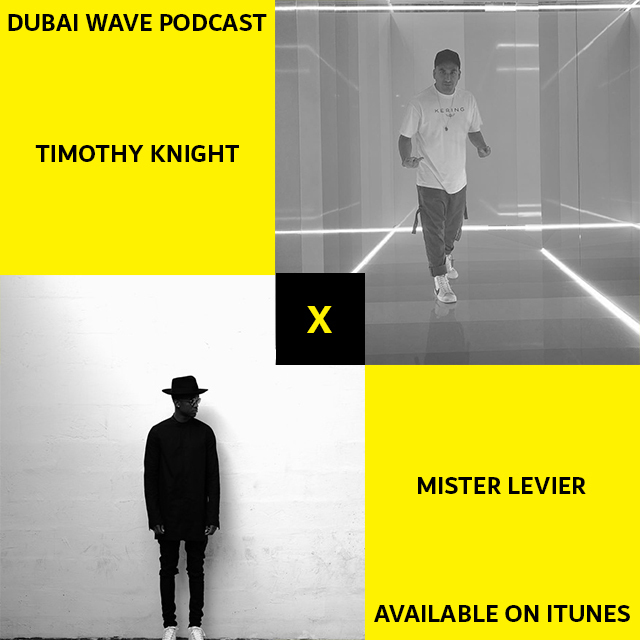 The Dubai Wave Podcast returns with a special episode! 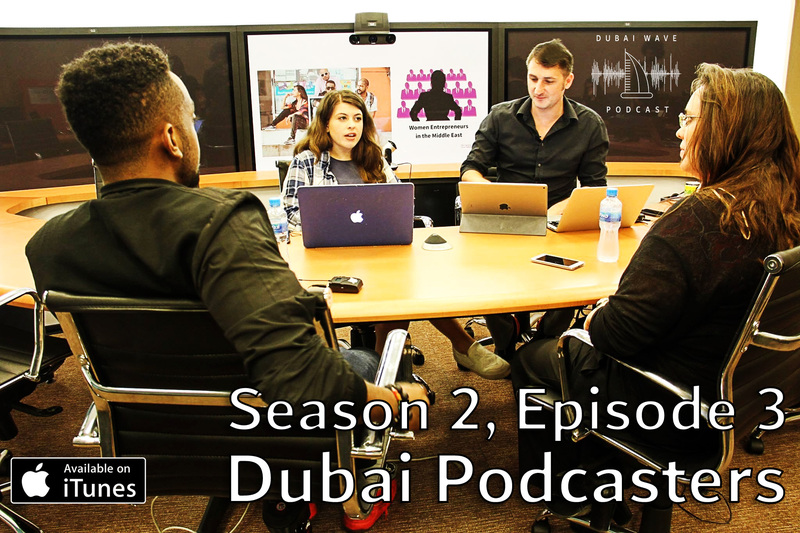 This time we present a conversation about the Dubai podcast scene with two of Dubai’s most influential podcasters, The Dukkan Show, (featuring the one and only OT), and The Learning Curve, (featuring Nicholla Henderson Hall, champion of women entrepreneurship in the Middle East). Dukkan Show is a podcast that is the brainchild of Omar OT Tom, Feras Toofless Ibrahim, and Irshad Jibberish Azeez. Dukkan Show a show about perspectives from the point of view of 3rd culture kids in the UAE. Drawing parallels from fabled stories of social gatherings at trade hubs and weekend markets, the hosts find that a similar experience is had when neighborhood friends group outside of their local grocery store to just hang out and talk for a while. In essence, Dukkan is the simple joy of companionship and spirited discussion. The Learning Curve Podcast is awesome. We are a young show aimed at sharing the stories of awesome women working and living in the MENA (Middle East & North Africa). We share their business stories and find out about how they achieve their goals and what kept them going. We find out what has inspired them and where their business ideas come from. The women of the MENA are strong, vibrant entrepreneurial women who have a strong belief system that they can achieve success in their work. Nicholla has lived and worked in this region all her life and she's met and worked with some talented ladies who don't see walls, barriers and red tape. They see opportunity, possibilities and outcomes. They too have this innate energy to be the best they can be and make their dreams come true. Would you like to hear from these women? Would you like to be helped along your own entrepreneurial path or dream? Well you can be inspired with these podcasts. These women open up and will help your path to success. Omar Tom (“OT”): Founder of the Dukkan Show, one of Dubai’s leading podcasts. Nicholla Henderson Hall: Founder of the Learning Curve Podcast, champion of women entrepreneurship in the Middle East. The Dubai Wave Podcast is back with another awesome episode! 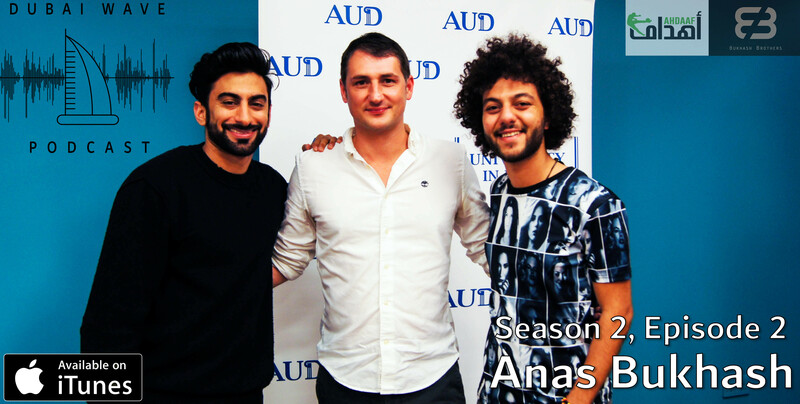 For the second episode of the new season, we are proud to present an exclusive conversation with one of Dubai’s most engaging and influential entrepreneurs, Anas Bukhash! Anas Bukhash is one of the leading entrepreneurs in the UAE. He is the co-founder of Ahdaaf Sports Club and the founder of Bukhash Brothers. A seasoned professional with over 12 years experience in various corporate sectors, he possesses strong qualities for entrepreneurship and business leadership. In addition, he gives motivational talks on entrepreneurship at UAE universities and organizations. Anas is also a Board Member of the Dubai Sports Council. His social media profiles engage his followers in conversation through his questions and features his lifestyle and interests. Also, expressing his influence on the fashion scene, in 2016 he was named the Best Dressed Man in the Middle East. Anas Bukhash: one of the leading entrepreneurs in the UAE; co-founder of Ahdaaf Sports Club; founder of Bukhash Brothers; and a pioneer of influence marketing in Dubai. The Dubai Wave Podcast returns for Season 2! For the first episode of the new season, we are thrilled to present an exclusive conversation with one of Dubai’s most prolific and best-known entrepreneurs, Saleh Al Braik! Saleh Al Braik, born and residing in the UAE, holds a Bachelor of Arts Degree in Accounting & Finance from the University of Essex, Colchester, UK (2009). Al Braik is currently the Financial Analyst at DUBAL. He holds two businesses under his name, Gravity DXB and Wakame. He is also the founder of Think Up, an initiative that aims to support and enhance talents of Emirati nationals and provide them a platform to express themselves freely. Not to mention, his striking Instagram posts always accompany a creative excerpt which leaves us with a gush of emotions we can’t help but read! With the help of social media, Saleh Al Braik is one of the most renowned inspirational figures many young minds look up to and learn from on a daily basis. He is the perfect example of an ambitious soul that strives to support others while also winning the hearts of many with this down to earth personality and creative thinking. 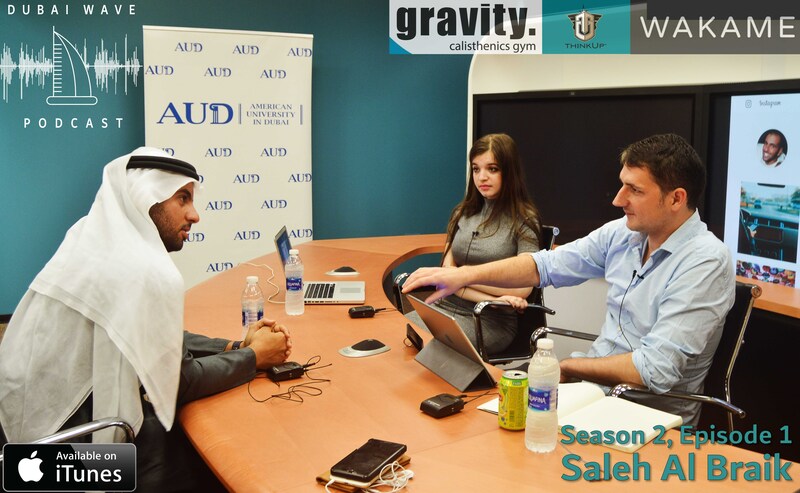 Saleh Al Braik, president of the Think Up public relations agency, and founder of GravityDXB and Wakame Dubai.